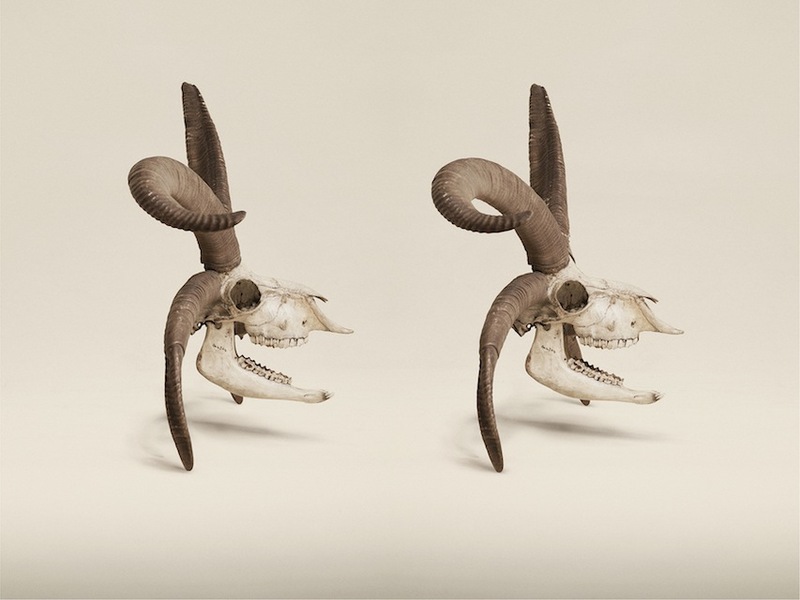 Natural history storerooms are a bit like drowned Noah’s Arks, with specimens from every realm of the animal world posthumously preserved. 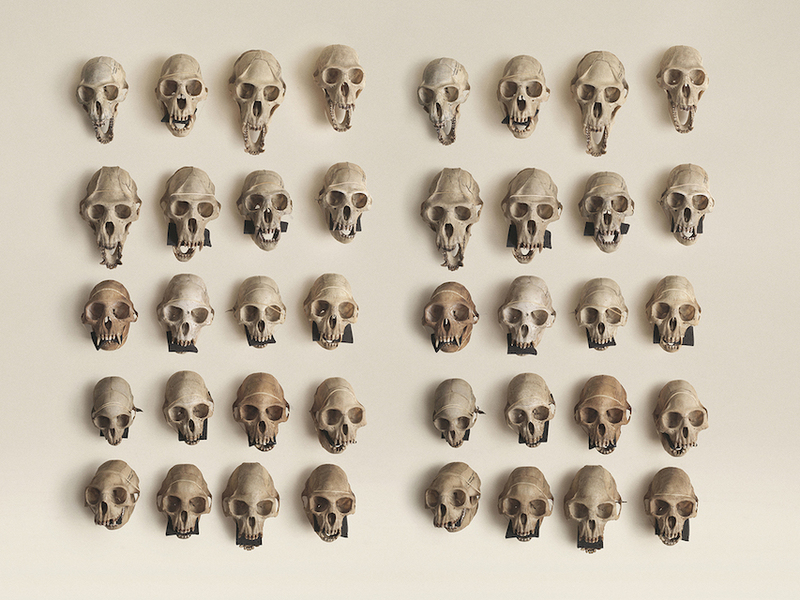 Skulls, specimens floating in jars, and neatly pinned dried creatures offer an incredible physical record of our planet’s ecology, even though it’s mostly scientists, rather than museum visitors, who get to see these troves. 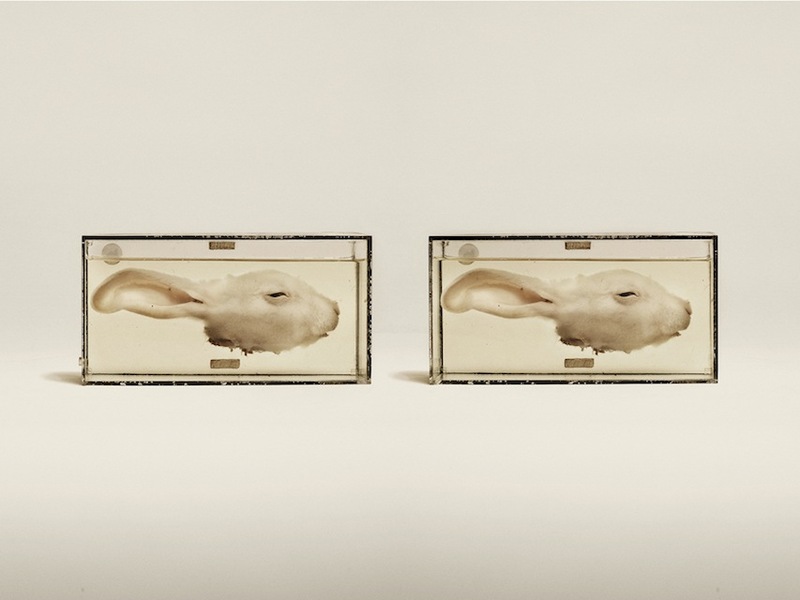 Photographer Jim Naughten traveled to the backrooms of natural history institutions and used the 19th-century stereoscopic technique to capture these rare objects, so that viewers can see them in three dimensions. 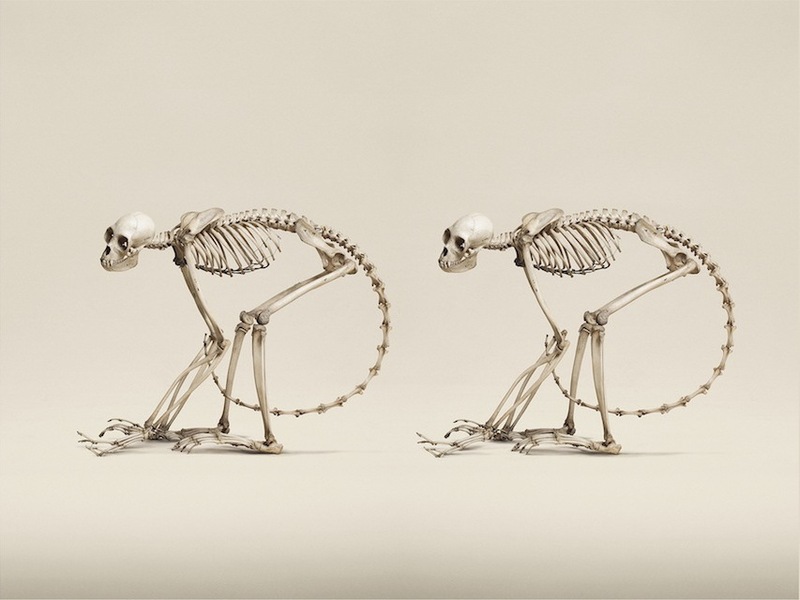 Animal Kingdom: Stereoscopic Images Of Natural History, out in June from Prestel, includes 50 of Naughten’s photographs of Victorian and Edwardian specimens from the Oxford Museum of Natural History, Museum of Life Sciences, Bristol Museum and Art Gallery, Horniman Museum, and others. 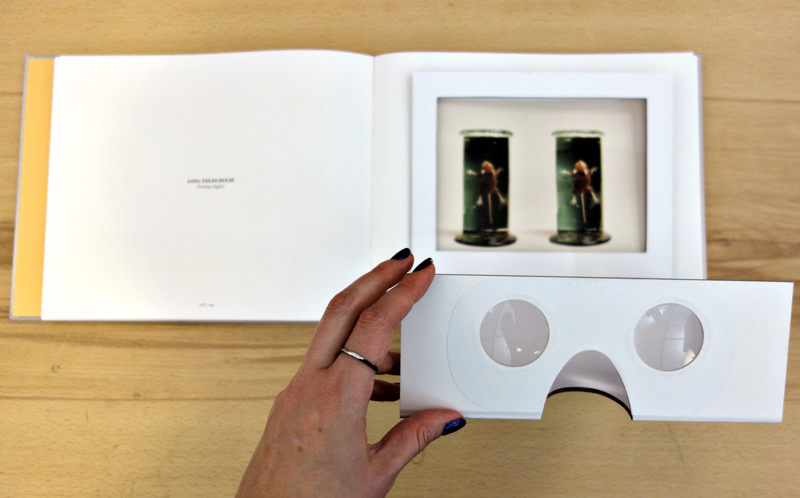 The book also comes with a foldable stereoscopic viewer that can be propped up on the page. 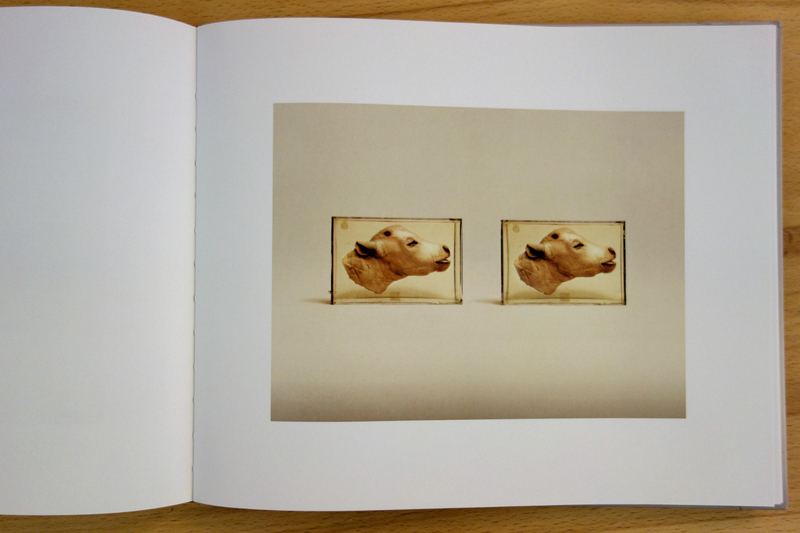 The binocular effect causes images of the bristly teeth of an Atlantic cod’s head or the winding horns of a sheep skull to pop out, as if the objects were there in miniature. 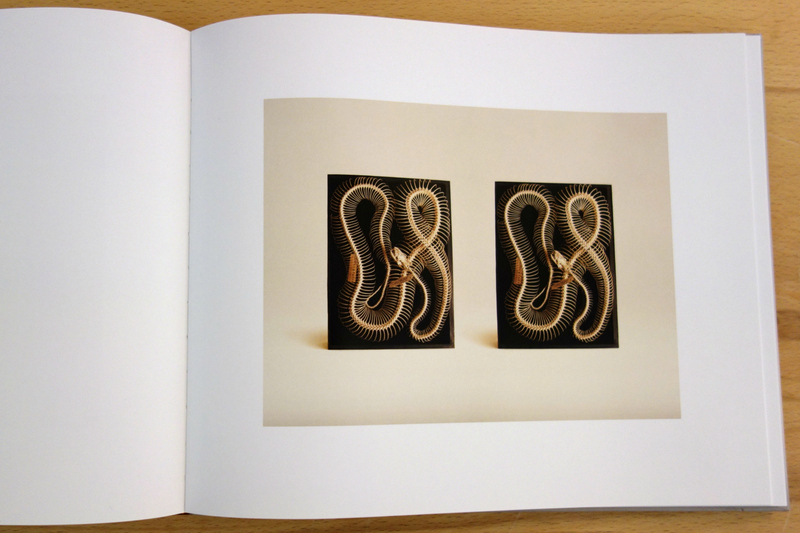 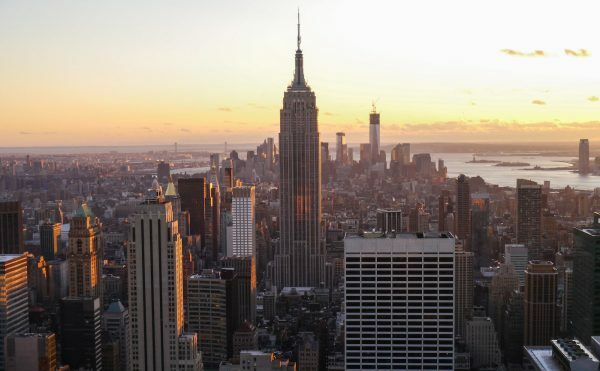 Naughten’s images are also on display as large-scale prints at Brooklyn’s Klompching Gallery, where stereoscopic viewers allow visitors to still experience the retrotech. 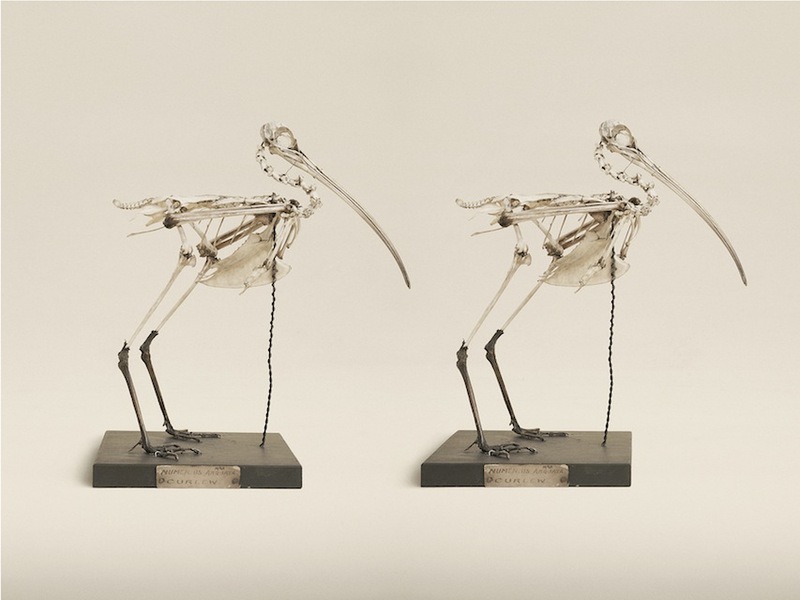 In his project, Naughten includes details on the specimens, as well as the dates when the animal bits and pieces were initially collected. 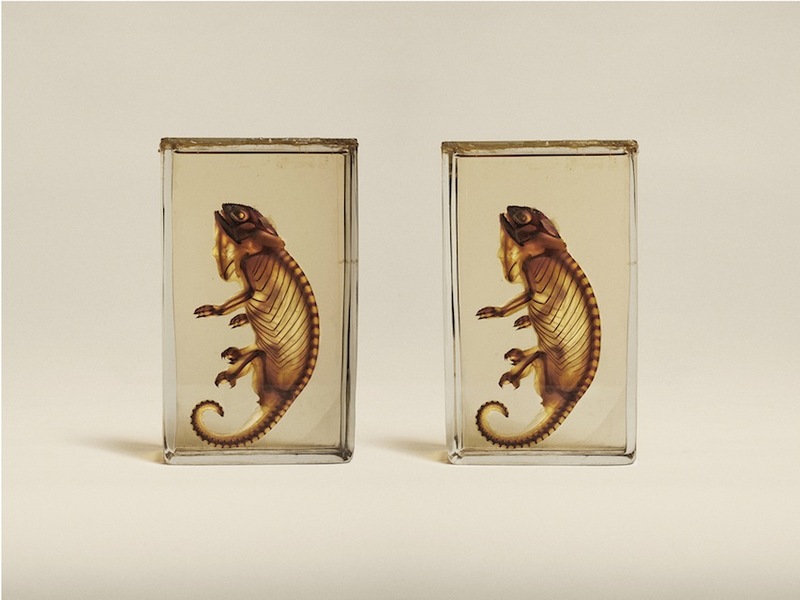 A luminous chameleon from 1758 was preserved with a method that rendered it transparent (likely diaphonization), while the exposed eye of a pigeon from 1789 appears to pop from its stripped skull; an 1897 long-tailed mouse that can only be found in Tasmania has its arms splayed out in its jar, as if flying. 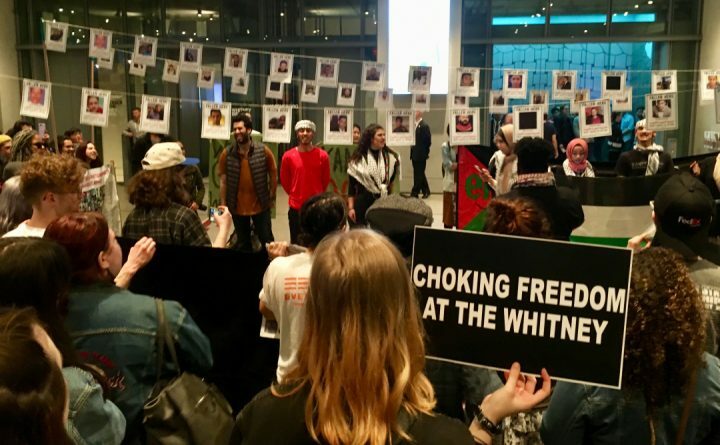 Some of the specimens can be a bit startling — a severed white rabbit head, for instance, suggesting a rather catastrophic Easter — yet Naughten photographed each one straight on, giving all the animals, whether great or small, a quiet dignity, even if they’re in a flayed state. 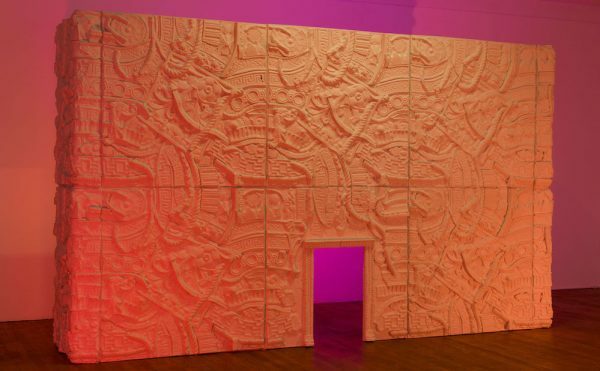 Naughten’s more recent work, not included in the book but on view at Klompching, concentrates on the 19th-century dinosaur models rendered by Benjamin Waterhouse Hawkins, giving them a much more phantasmagoric air. 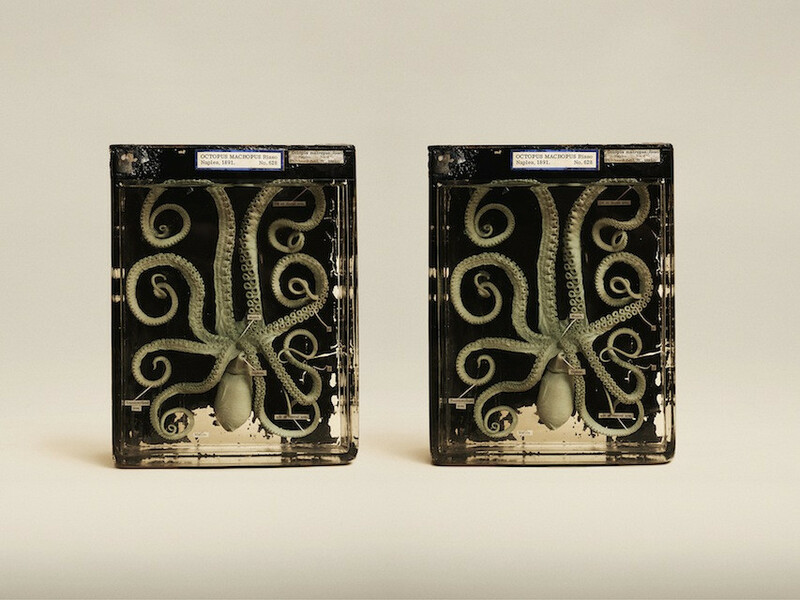 While we can take as many high-definition images as we like today of preserved specimens, the optic trick of stereoscopy still evokes some of that scientific wonder of centuries past. 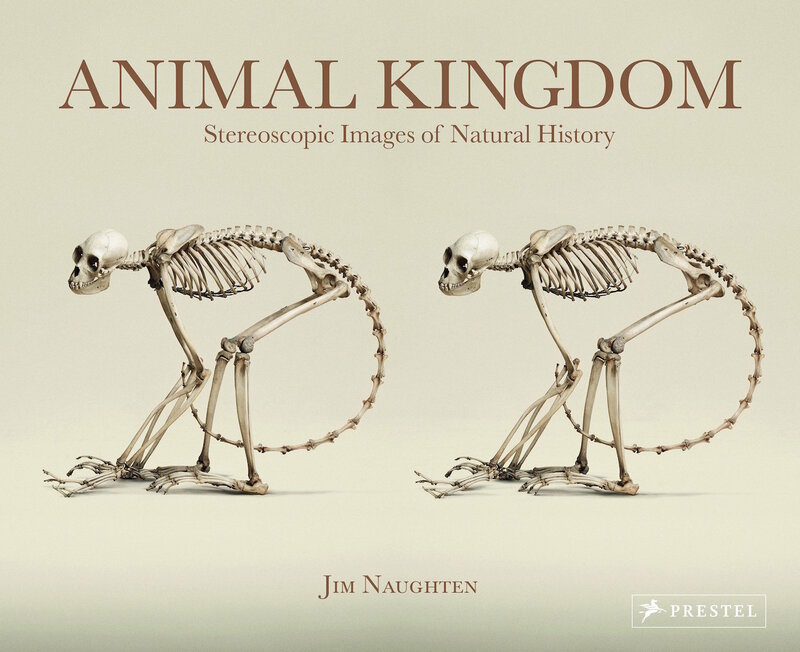 Jim Naughten’s Animal Kingdom: Stereoscopic Images Of Natural History is out June 6 from Prestel. 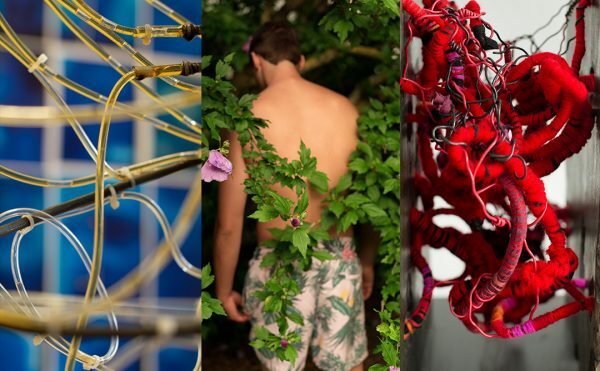 The exhibition Animal Kingdom continues at Klompching Gallery (89 Water Street, Dumbo, Brooklyn) through May 28.